The museum’s collection was the fruit of Nawab Mir Yousuf Ali Khan’s passion for historical antiques and the arts. More popularly known as Salar Jung III, Mir Yousuf Ali Khan was the Prime Minister of the seventh Nizam of Hyderabad in 1912. Two and a half years later, he resigned from the post and focused all his attention to collecting arts and antiques from around the world. Originally, the antiques and artworks were housed in his ancestral palace, Diwan Deodi, and exhibited there as a private museum. It was finally opened to the public on December 16, 1951 and, in 1968, the collection was finally transferred to its present location today. In 1961, the government passed the Salar Jung Museum Act where the museum was declared as an “institution of National Importance”. 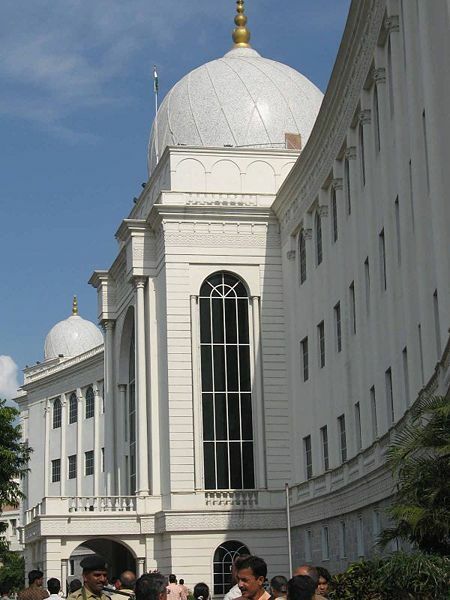 The wonderful collection of the Salar Jung Museum covers the art heritage of many places around the world, including India, Middle East, Asia, and Europe. Persian carpets coexist with Japanese lacquerware and Chinese porcelain, showing just how diverse Salar Jung III’s collection is. India’s heritage also takes center stage, with Aurangzeb’s sword, daggers belonging to emperors Jehangir and Shah Jahan, and the turbans of Tippu Sultan on display. There is also a bewildering array of clock collections that greet the visitors in the aptly called clock room. There, one can virtually trace the development of the watch, from the ancient sundials to the modern 20th century timepieces. Other collections of interest include the Jade gallery where items that espouse the elegance of jade are located. Since there is no jade found naturally in India, it is believed to be introduced during the Mughal rule. The designs and handiwork, though, are decidedly Indian. There is also a gallery devoted entirely to the family of the Salar Jungs, including a children’s section, a library, and a section devoted to rare and ancient manuscripts of Persian and Arabic origins. Visitors can view all these priceless works of art history everyday, except Fridays. The museum is open from 10 AM to 5 PM.